Rue21 is the latest retailer to fail. The chain of teen clothing stores says it has filed for Chapter 11 bankruptcy protection and is closing about a third of its 1,200 locations. The company did not immediately return an email from CNNMoney asking about layoffs. In a press release, Rue21 said it is streamlining to "better align the size of its footprint with market realities, and focus on its hundreds of highly performing locations." The company said it may consider closing even more stories. Rue21 is trying to secure $175 million in financing to stay afloat, subject to court approval. The company joins a long list of traditional retailers struggling in an economy that is moving online. The women's clothing retailer Bebe plans to close its stores by the end of this month. 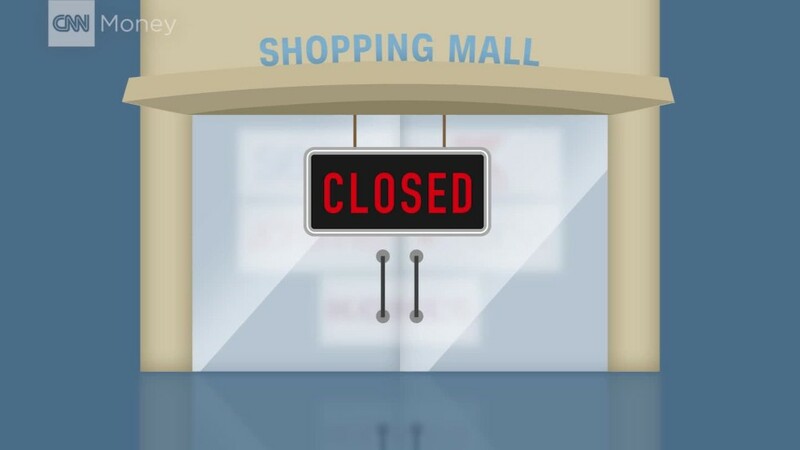 And the department stores that once ruled the malls -- Macy's (M), JCPenney (JCP) and Sears (SHLD) -- are closing hundreds of locations and cutting thousands of job. Amazon (AMZN) is the clear winner in seizing market share as brick-and-mortar retailers disappear. Brokerage firm Credit Suisse said in a research report last month that as many as 8,600 brick-and-mortar stores will close in 2017.